KE5BPL (foreground) operates a radio at the AJ5Q Field Day while N5VX watches. Thanks to KD5CYW for the photos. With burn bans in place for much of the western part of Oklahoma, hams may need a rest from popping fireworks, which in the burn bans are in place. Two events, both with Technician class operator opportunity are happening this weekend. The first is the 13 Colonies event. All HF bands will be in play except the WARC bands and 60 meters. 2 meters and 6 meter simplex are encouraged. While most of the effort in Oklahoma may be on 40 and 20, band openings on six and the 10-meter segment will give Technicians an opportunity for this event. The next event is the Spirit of 76 event from 10-10 Net International. This event, started first time last year, allows for multiple contacts using multiple modes. For example, CW, PSK, FM, AM, SSB all count as points. While the Technicians are limited to the mode and frequency so they can't operate AM or FM subbands, this is a fun event. One Oklahoma ham made most of his contacts last year in the Technician band. There's your reason to stay inside and not pop firecrackers this weekend. 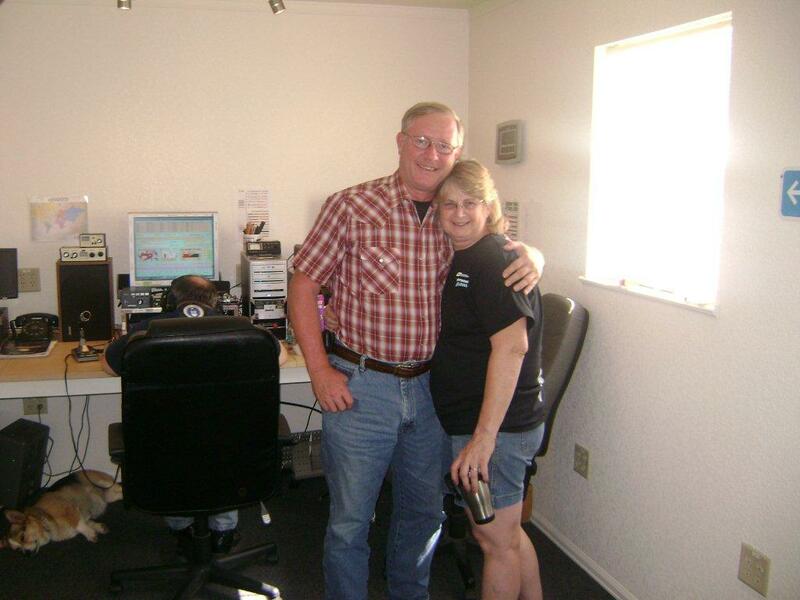 Linda and Gary Haas pulled up at the rest stop on Interstate 40 in eastern New Mexico to walk their dogs and tidy up. It was a sunny morning, already hot, on Aug. 2, 2010. Linda was walking back to the pickup truck and camper when two men came up behind her. One stuck a handgun in her back and warned her in a low voice to keep quiet. Gary Haas N5VGH and his wife Linda were found burned in their travel trailer in Santa Rosa, NM. Their pickup was located later in Albuquerque. The murders appear to have been committed by three escapees from an Arizona jail. In the mean time, both the Arizona Department of Corrections and Utah-based Management & Training Corp., which manages the prison under contract, have made sweeping changes meant to prevent another escape. to Nelson WB5ONA of Stillwater, OK.
something, or connect their equipment. 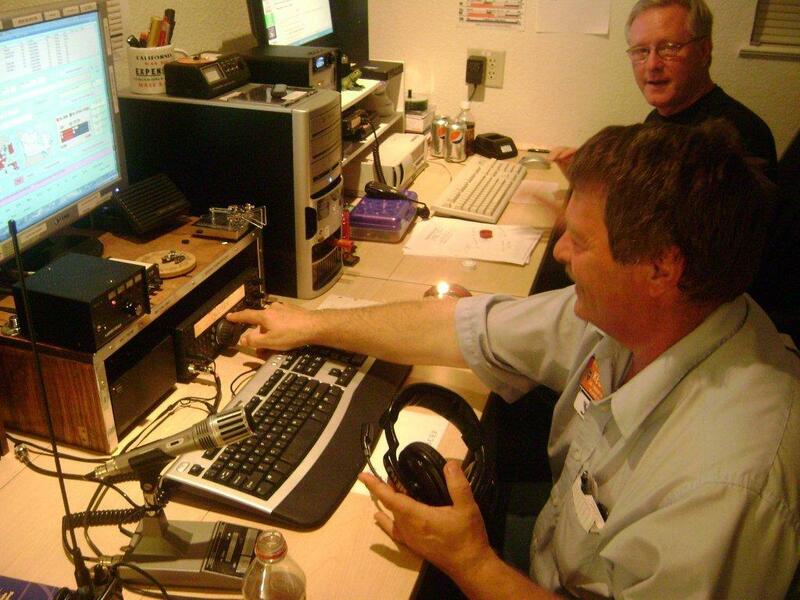 So I asked him… How is your station set up? What radio are you using? Do you use an amp? If so which? What antenna are you using? e-mail with all of you. improvement in audio and output. I highly recommend the upgrade. I do not use an amplifier. the lead may be trimmed. each band, however, not throughout each band. than would an equal length of coax. least 3 times the lead width. outside of the pipe and enters a slot cut in the side of the tee. each end of the tee. The connections are inside the ends of the tee. with when connecting in other ways. cord for years and have never had one break or in need of replacement. "V" angle between the legs is kept between 90 and 120 degrees. A good ground, as with any antenna system is a definite must. I do get some stray RF at times in computer speakers and on some TVs. eliminates this problem. The RFI problems also vary by operating band. pleased when I manage to come out on top in a pileup. N5VX (left) had Field Day in his new operating station with his new wife, W5ORN. Had a great time, great food, and well needed nap afterwards.... till next year. that is scheduled in 2 weeks. is $30.00 for books and materials. communications. And it's cheap to build your own. Where will you be going out to a Field Day site? Do you plan to visit/operate at more than one site? Field Day is a great way to practice those Emergency Communications skills (EmComm). I'm speaking of the setting up Amateur Radio stations and antenna systems, in less than ideal conditions using off the grid, back up or emergency power... what a fun way to practice for "When all else fails". 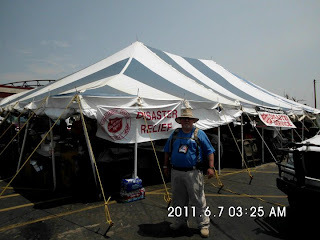 Members of the Oklahoma Amateur Radio Emergency Service recently served in Joplin, MO at the request of the Salvation Army. Brian Lee Gnad, KB5TSI, filed this photo after his return. He is the ARES Tulsa District Emergency Coordinator. More of the photos are on Facebook. 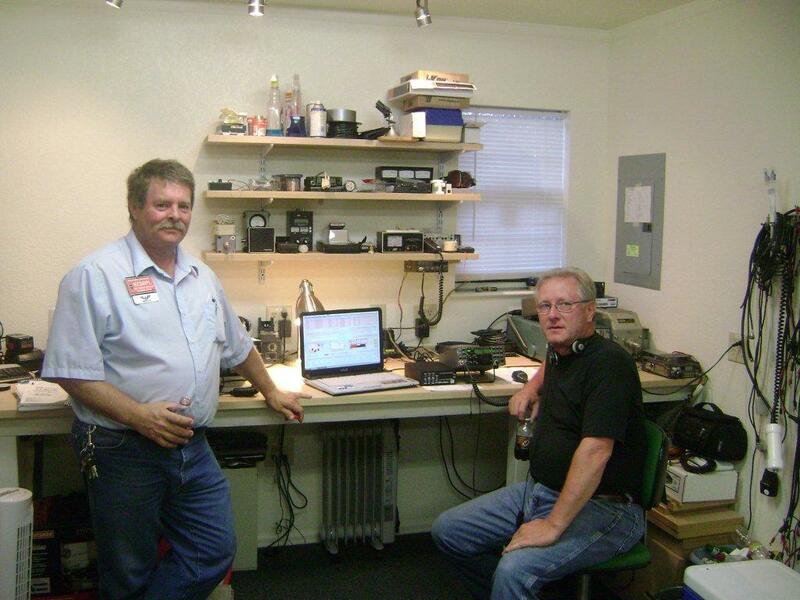 Do you know about these #Oklahoma resources for amateur radio operators? I am pleased to announce that I will be appointing Floyd Grant, NV5N to the position Zone Emergency Coordinator for Zone 4 (Northeastern Oklahoma). The ZEC is the assistant to the Section Emergency Coordinator (SEC) for emergency preparedness. The ZEC is appointed by the SEC to take care of all matters pertaining to emergency communications and the Amateur Radio Emergency Service (ARES) on a zone wide basis. Floyd is a long time amateur operator with a strong interest in emergency communications. The ZEC position is a big job and I appreciate Floyd's' willingness to take on the challenge. Please welcome Floyd to the team, plus want to thank Ben Joplin WB5VST for doing double duty covering both Zone 4 & Zone 5. Ben will continue to serve as ZEC in Zone5. The Mercy Health/Love County Hospital and the W5LCH Love County Mercy Memorial Club are hosting a two day class to prepare and license individuals as Amateur Radio Technicians. 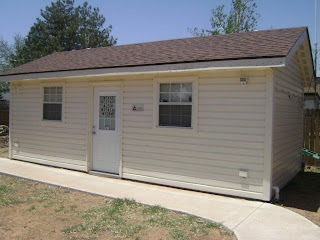 This two day class will be on July 9th and 10th, 2011 at the Love County Hospital. 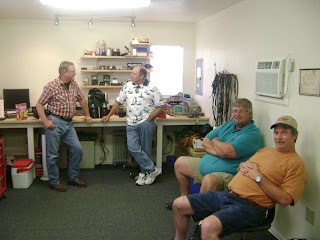 It will cover all the materials and information required to pass the Technician level license. The costs are $30.00 for the book and $15.00 for the testing fee. The registration deadline is the 13th of June 2011 to allow time to order the books and materials. If you would like to register for this class or would like more information you can contact David C. Bond, KF5CMR or by cell/text at 817-368-5548.